Added on March 13, 2015 by Stella Chapman. When I moved to the pretty coastal town Hythe in Kent, I wasn't expecting neighbouring Folkestone to offer more than a handy high-speed link to London, where Salt's clients are mainly based. But over the four years I've lived here, I've watched the harbour town being transformed through creativity, reinventing itself as a cultural destination and an inspiring place to live as a designer. It was the public art exhibition, the Folkestone Triennial that first opened my eyes to the creative projects going on in the town. Every three years the nine week festival turns the town into an open-air gallery with specially commissioned works by artists that have included Andy Goldsworthy, Tracey Emin, Mark Wallinger and Yoko Ono. There is also Folkestone Artworks, a permanent public collection of 16 works created from the previous two Triennials, plus fantastic independent street art which graffiti artist Banksy temporarily added to during the Triennial last year. 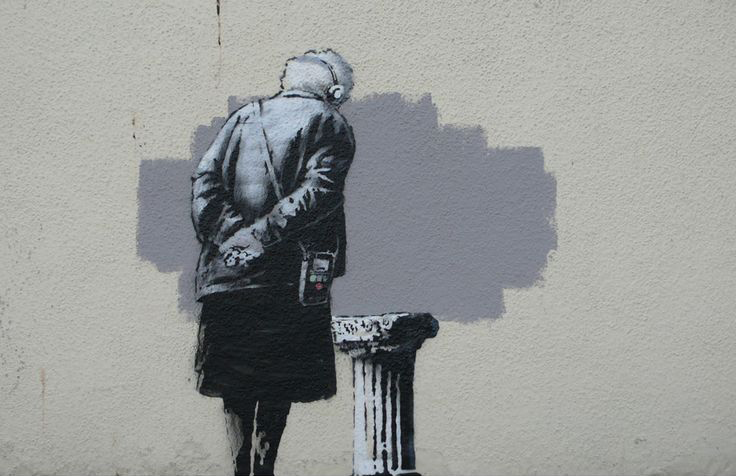 The Banksy may be gone, but there's still a lot to see. Here's a selection of my favourites, which I think are worth a visit to Folkestone in their own right! As a graphic designer I love Spencer Finch's colour wheel on the cliff-top Leas Promenade. 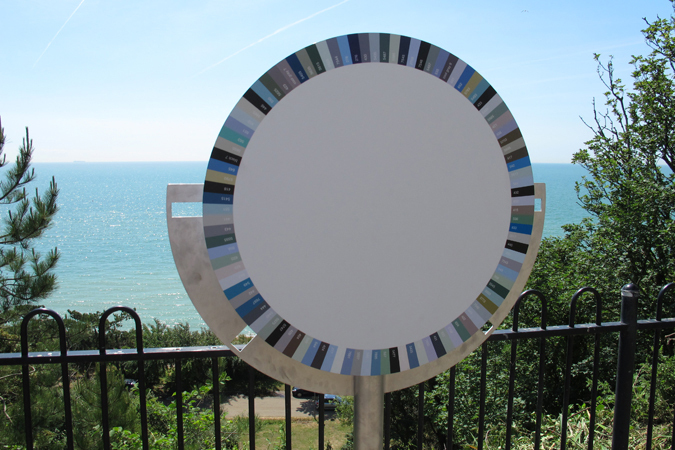 Spinning the palette of 100 colours and picking the Pantone swatch to match the sea is a brilliant idea! For the 2011 Triennial, flags were dyed to match the swatches and hoisted to declare the shade of the sea each day. Colour, light and the natural world are key themes in the New York artist's work. At first this collection of stones on the Leas seemed decorative, but I learnt the numbered pebbles represent the 19,240 soldiers killed on the first day of the battle of the Somme in 1916. 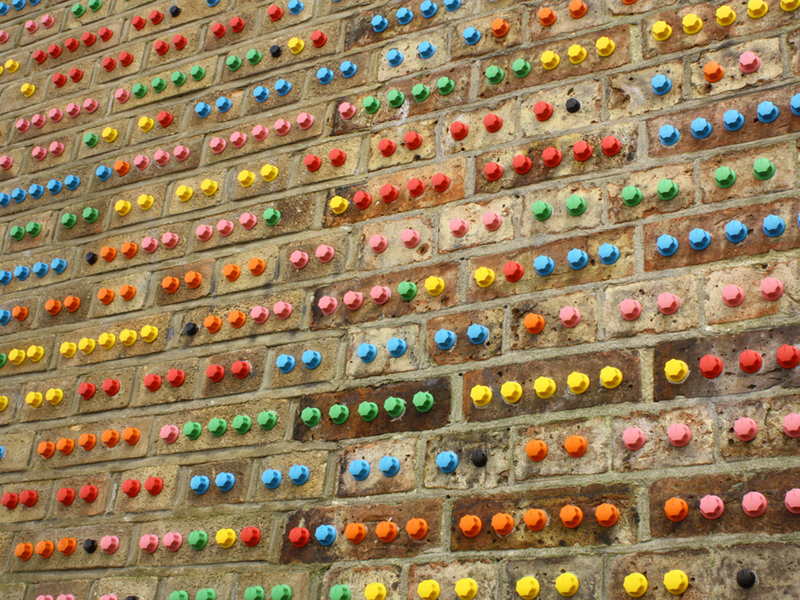 The installation by 2007 Turner Prize winner Mark Wallinger is a simple and moving reminder of Folkestone's past. Also echoing the past, is a quirky row of bright green bunker-like beach huts on the coastal promenade which sculptor Richard Wilson constructed from the abandoned crazy golf course. It is good to think art is filling the place left by traditional seaside amusements and attracting a new type of tourist. At last year's Triennial, thousands of people came to dig up artist Michael Sailstorfer’s buried treasure on the outer harbour beach in his public participation event Folkestone Digs. Looking at the present is Baby Things, seven painted bronze mini sculptures by artist Tracey Emin dotted around the town as a subtle comment on the high rate of teenage pregnancy in the area. The 2014 Triennial was curated by Lewis Biggs, the former director of Tate Liverpool. The theme 'Lookout' was about the future of Folkestone and the 21 artists each had a different take on what's here now and what's to come. I really enjoyed following the trail with my 3 year old. 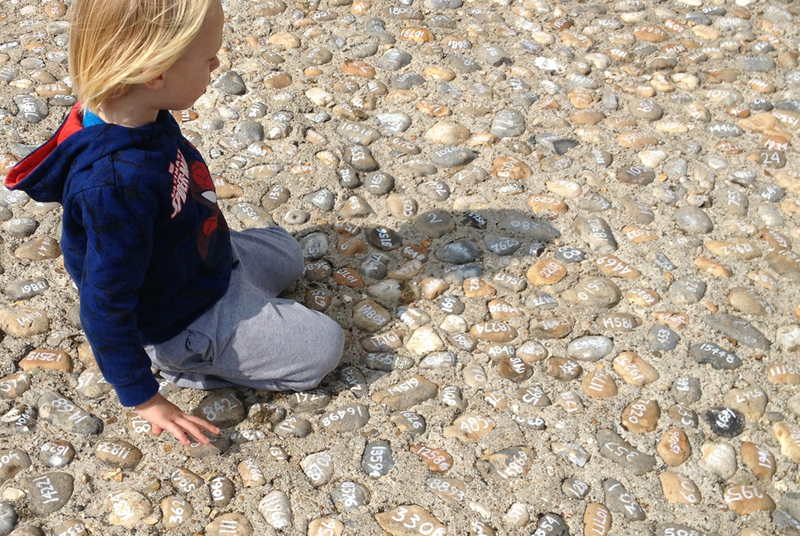 Being outdoors and being able to touch and interact directly is a great way for children to discover and learn about contemporary art. We loved the colourful geometric maze which made a surprising contrast to the Victorian grotto it's built into to. Dwelling by Krijn de Koning is part architecture, part sculpture and has an ‘identical twin’ at the Turner Contemporary who commissioned the work. One of the most inspiring things about Folkestone is the quality of coastal light which is why I loved Green/Light, a light sculpture by Folkestone born artist Jyll Bradley. Created for the old gas works site where electric light was first generated for the town, the shimmering poles map out her personal journey and connection to the area. Yes, the sky is always this blue! Arts charity the Creative Foundation is behind the Triennial and Artworks as well as many other creative projects, events and activities, including the regeneration of the Creative Quarter in the old town, home to artists' studios and creative businesses. I love these two recent pieces of independent street art by Folkestone-based artists Leigh Mulley and Sam Millen for their unexpected locations and local themes. The 13m high seagull mural is a landmark to be proud of! So art continues to make Folkestone a better place to be. I look forward to seeing which 9 Triennial works return as permanent attractions in May and am already counting down to the next one in 2017.